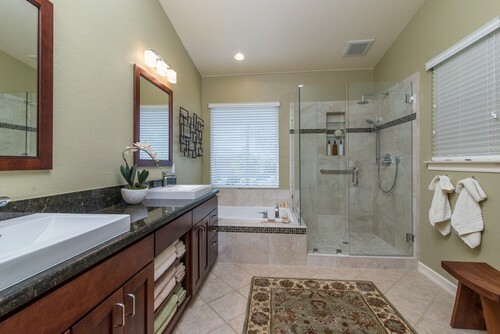 Bathroom Remodeling Trends: Part Two - Lensis Builders, Inc.
Here’s our second roundup of bathroom remodeling trends – all design ideas that are currently popular, but will sustain their functionality and aesthetic in your home over time. 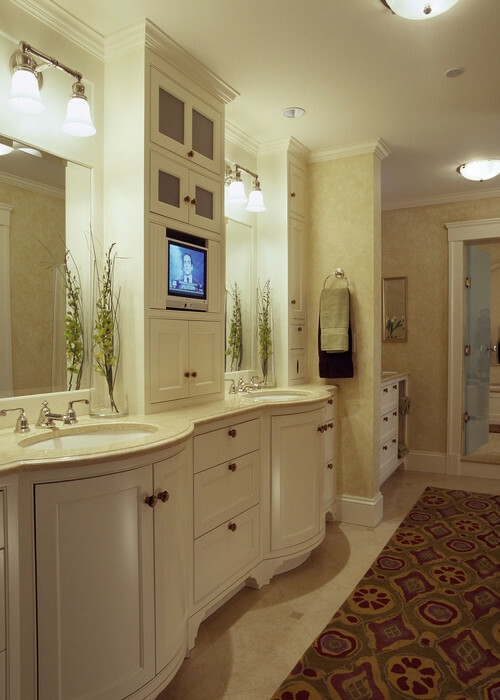 Electronics that work at the touch of a buttom make your time spent in the bathroom more relaxing and entertaining. Low-energy radiant heat mats warm up specific floor spaces in a bathroom, such as near a tub or shower entrance, or in the toilet area — anywhere bare feet frequent. This technology allows you to pick and choose spots to heat. Traditional radiant heating requires a more sophisticated house system. 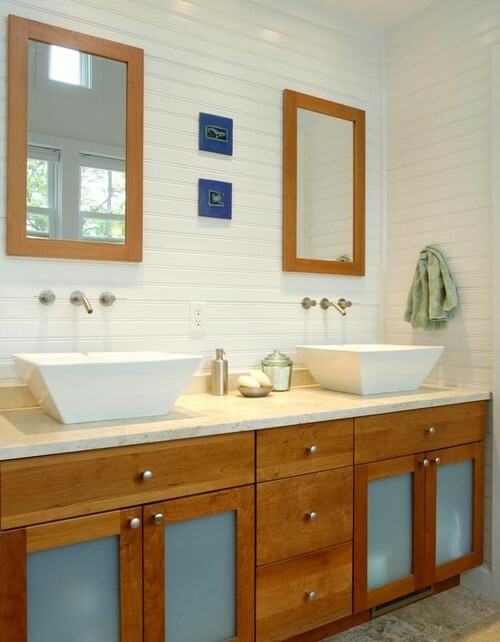 The powder room is an ideal bathroom for a vessel sink, which can serve as the focal point of the space. Explore the range of materials available in this sink design today, from clear glass to cast stone. 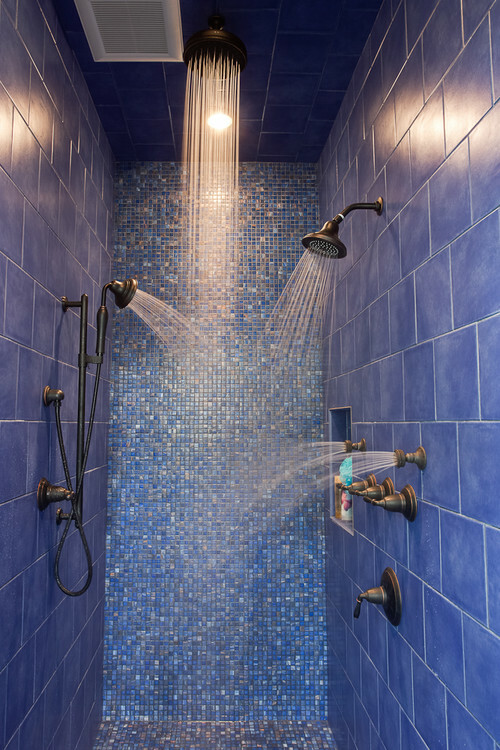 Recycled-glass tile gives this bathroom an underwater appearance. 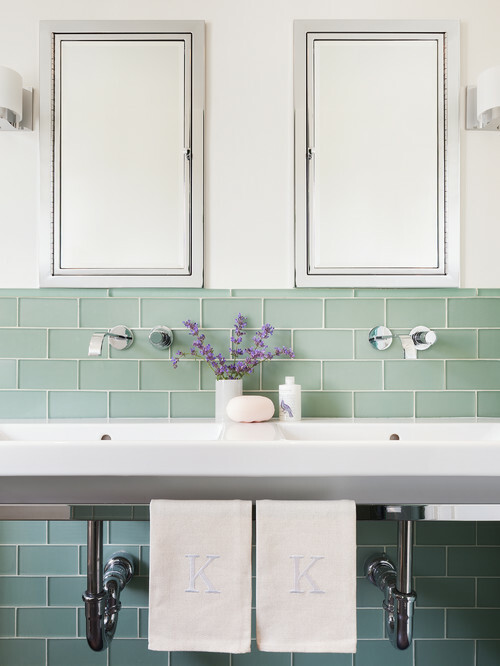 The glass subway tile here is an elegant choice, and it gives this bathroom a nice pop of color without overdoing it. More is more. A multi-head shower brings in luxury and functionality by misting you from all angles.